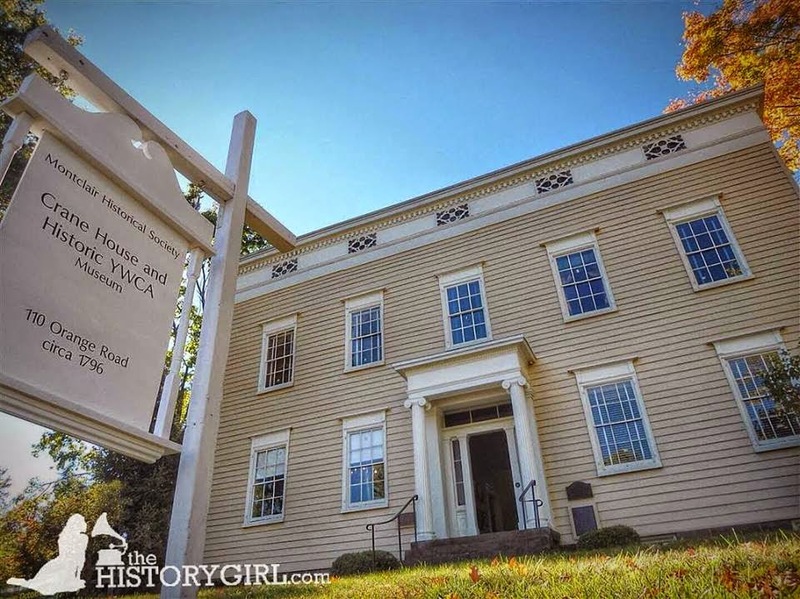 Weekend Historical Happenings: 11/15/14 - 11/16/14 ~ The History Girl! How Did the Discovery of Oil in the Mideast Affect World War I? On Saturday, insight into this little-discussed subject will be given at 2:00 pm at the Van Wickle House in Somerset. 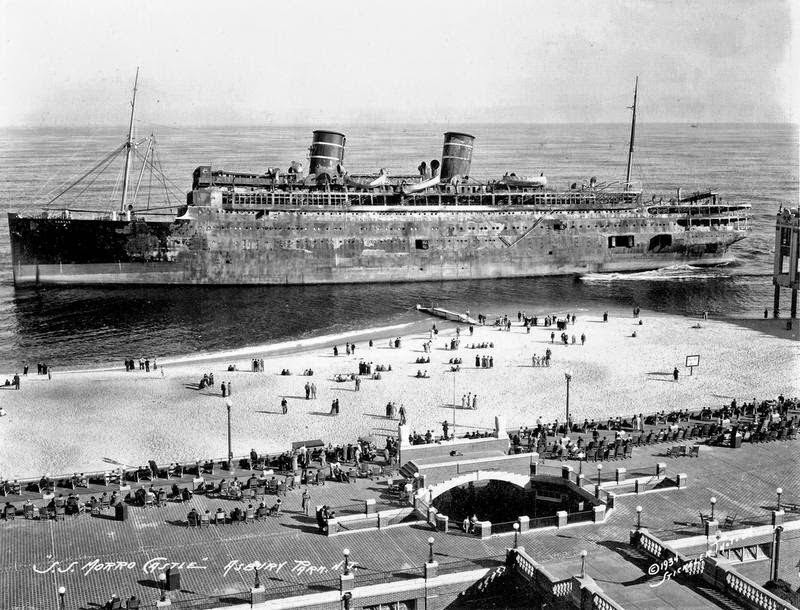 Local historian and Rutgers lecturer Bruce Tucker will present a lecture on the discovery of oil in the Middle East in the early 1900s and its impact upon military technology and strategy of World War I (1914-1918). Mr. Tucker will discuss the historical background of crude oil, including its discovery in the United States, Russia, and the Middle East and how oil helped determine how the war would be fought, where it would be fought, its outcome, and its effect upon the victors and losers at the Palace of Versailles peace conference. Refreshments will be served after the Q&A following the program. The Van Wickle House is located at 1289 Easton Avenue, Somerset, NJ. Tickets are $10/person, and can be reserved by sending an e-mail to chrisflp@aol.com or by calling 732-748-7657. On Saturday from 10:00 am - 4:00 pm, New Jersey World War I history buffs will gather at the annual display and competition sponsored by the New Jersey Arms Collectors Club, Inc. This event has been going on for over 14 years and it brings together reenactors and collectors, many in period uniforms, in a series of marksmanship events with WWI period items. There is even a tennis ball launching event using a British World War I cup discharger originally used to launch grenades into opposite trenches. Great event for the kids and only costs $1 a launch. WWI period firearms are used in contests and observer/visitors are invited and welcomed. Persons who have inherited/obtained military items from the great war are invited to bring them or pictures for identification and preliminary appraisal. The event is held at the Shongum Sportsman's facility, 363 Jane's Chapel Road, Mansfield (Oxford), NJ. For more information, e-mail GurskiLTC@aol.com. 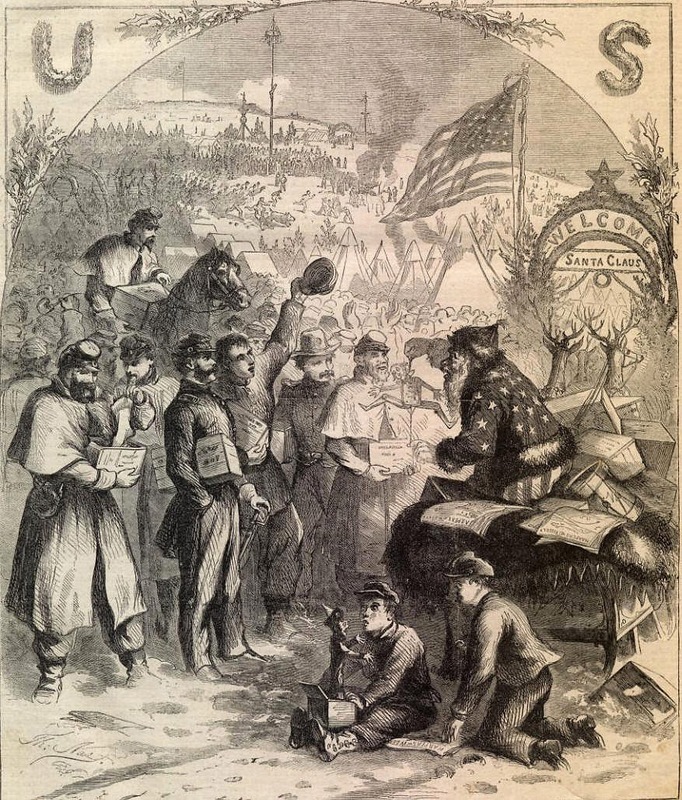 On Saturday, the Tuckerton Historical Society presents "Gettysburg" presented by Jeff Brown. Learn about the circumstances leading up to this important three-day battle. This presentation will be held from 2:00 - 4:00 pm at the Giffordtown Schoolhouse Museum, 35 Leitz Blvd., Little Egg Harbor, NJ. For more information, call 609-294-1547. If you work all week to bring home the bacon, sausage and scrapple, but don't really know from whence they come, visit Howell Living History Farm for their bacon, sausage and scrapple program on Saturday from 10:00 am - 4:00 pm. You will see these and other pork products made before your eyes. Farmers will demonstrate rendering lard, making pork products, and showing visitors the origins of different cuts of pork. Cracklin's and other delicacies will be free for the asking and pork sandwiches will be available for sale. Join the Friends of the World War II Lookout Tower on Saturday at 1:00 pm at the Cape May Lutheran Church, 509 Pittsburgh Avenue, Cape May, NJ, for their meeting which will focus on the Vietnam War. Featured will be a panel of Vietnam veterans, with a presentation by Tom Collins about the Forgotten Warriors Museum. Admission is $5 for members of the public; free for Friends of the World War II Lookout Tower. Light refreshments will be served. An original watercolor painting valued at $500 of the World War II Lookout Tower by local artist Laurie Schiffelbein will be raffled. Tickets are $2 each or $5 for three and can be purchased at the event. Become a Friend of the Tower and admission is free. Admission is $5 for members of the public. Adults are asked to bring a young person with them so the group can advance one of its primary goals, which is developing in the younger generation an understanding and appreciation of not only Cape May's important role in World War II, but of the traits of patriotism, loyalty, and self-sacrifice so characteristic of the people of these war years. The World War II Lookout Tower (Fire Control Tower No. 23), located on Sunset Boulevard, was used for spotting enemy ships during World War II and aiming guns for nearby coastal artillery fortifications. MAC restored the tower in 2008-2009 and opened it to the public in April, 2009. Sponsored by the Friends of the World War II Tower, an affinity group of the Mid-Atlantic Center for the Arts & Humanities (MAC). MAC is a multifaceted not-for-profit organization committed to promoting the preservation, interpretation, and cultural enrichment of the Cape May region for its residents and visitors. For more information, call 609-884-5404 or 800-275-4278, or visit www.capemaymac.org. On Saturday at 2:00 pm, the American Labor Museum/Botto House National Landmark proudly welcomes the general public to a book-signing event with author Leslie Rupley, a Paterson native. 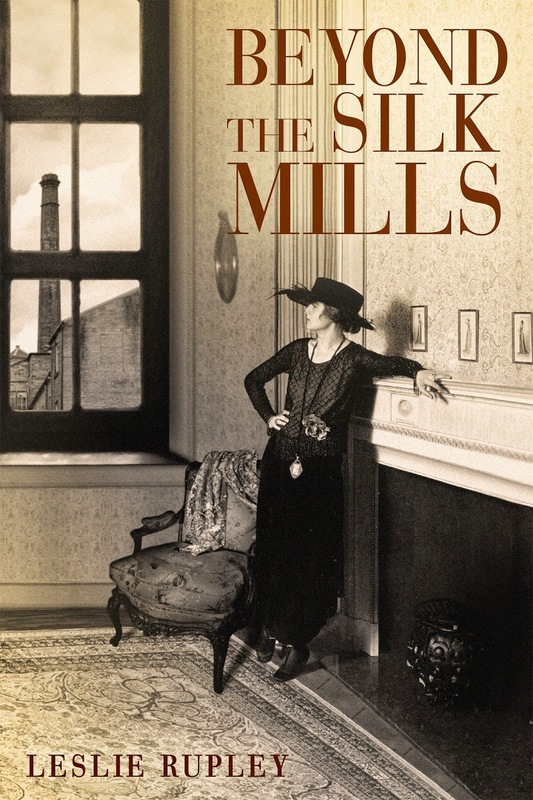 Ms. Rupley will discuss and read from her debut novel, Beyond the Silk Mills (Dameliam Books, 2014) and answer questions. Copies of Beyond the Silk Mills will be available for purchase. Light refreshments will be served. 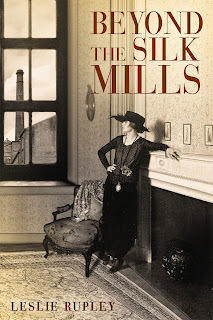 In Beyond the Silk Mills, Ms. Rupley brings to life the saga of the Epstein family of Paterson, New Jersey in the early 20th century, and through their story, illuminates the roots of modern feminism and contemporary labor issues. Writes historian Steve Golin, "Rupley has carefully researched and imaginatively captured the dynamic of the Paterson strike. This is what historical fiction should look like." The exhibit Border Angels by Sara Gurling and Pamela Calore will be on display at the Museum through December 31st, 2014. Tours of the Museum will be available and the Museum Store will also be open to the public. The Botto House National Landmark, home of the American Labor Museum, is located at 83 Norwood Street, Haledon, NJ. It was the meeting place for over 20,000 silk mill workers during the 1913 Paterson Silk Strike. The Museum's hours of operation are Monday through Friday 9:00 am - 5:00 pm. Tours are offered Wednesday through Saturday from 1:00 - 4:00 pm or by appointment. For more information, call 973-595-7953 or visit www.labormuseum.net. On Saturday starting at 11:00 am, tour the Cedar Hill Cemetery Tour with guides Bob Mettler and Ray Hills. A $10.00 fee supports the East Millstone Historical Society. Kids 12 and under are free. Tour includes a stroll through East Millstone to Market Street. Enjoy an optional lunch at the Sunrise Creek Deli or the East Millstone Antiques & Cafe. Meet at the cemetery entrance on Wortman Street, East Millstone, NJ. Step back in time and celebrate Thanksgiving and Armistice Day in 1918 at Fosterfields Living Historical Farm from 12:00 noon - 4:00 pm. Begin by following the enticing aromas to The Willows and Farmhouse kitchens where a Thanksgiving feast is being prepared. While the harvest has been gathered, there is still much to do on the farm. Help husk corn, saw the wood that is needed for winter heating and cooking, and make animal food with the one-cylinder gasoline engine operation. Be sure to take a horse-drawn wagon ride around the farm, watch a side-saddle riding demonstration, visit the farm animals, and assist with egg collection. The Armistice, or cease fire that officially stopped the carnage of WWI, went into effect in Europe on November 11, 1918, at 11:00 am. Over the years, Armistice Day, later named Veterans Day, has honored the men and women who served in the U.S. armed forces. At 2:00 pm, enjoy a special choral tribute to our veterans by the Picatinny Chorus. Admission: $6/adult, $5/Senior (65+), $4/child (ages 4 to 16), and $2/child (ages 2 and 3) and free for children under 2 years of age and Friends members with a valid membership card. U.S. military personnel (past and present) admitted FREE. Fosterfields Living Historical Farm is located at 73 Kahdena Rd, Morristown, NJ. For more information, call 973-326-7645 or visit www.morrisparks.net. Step back through over 200 years of American history at Montclair's historic properties at 108 Orange Road. Visit the newly reinterpreted Crane House to reflect the YWCA period from 1920 - 1965, check out the farm, and meet the chickens. The site is open from 1:00 - 4:00 pm. Free-will donation. Free admission for members! On Sunday at 2:00 pm, Philip Jaeger presents a program entitled "Signs of the Past and Their Stories," which depicts signs of the past that still exist, though some have been hidden by modern day life. Some of these traces of the past date as far back as the 1800s. Written signs that have faded over time because of their exposure to the weather, but are still discernible, are sometimes called “ghost signs.” Originally they served as advertisements for a variety of products and services. Also included in the program are buildings and other relics that were changed or revealed when modern-day projects disturbed their resting place resulting in a new glimpse into the past. Program begins at 2:00 pm at 108 Orange Road, MOntclair, NJ in the lower level of the Crane House and Historic YWCA. Suggested donation $5. On Sunday at 2:30 pm at the Caldwell Parsonage in Union, Maureen Wlodarczyk - author, columnist, genealogist, speaker, blogger (at www.past-forward.com) - will present "History in our Backyard: Discovering Lost & Forgotten Stories of NJ People and Events." Though fitting and expected that we remember those whose accomplishments (or notoriety) are part of NJ history, most of us are descended from people who weren't famous . . . or infamous. The stories of "regular" people (including our ancestors) and the communities where they raised their families connect us more closely with those who made our own lives possible. Intriguing, poignant, inspirational, entertaining, quirky, or comical, they're stories worth retelling. Ms. Wlodarczyk is an officer of the Flannery Clan of Dublin and a member of the Irish-American Writers & Artists organization and of the Genealogical Society of NJ. An admitted history addict, Maureen researches people and events lost to time, rediscovering and sharing their tales. These fascinating stories of 19th century immigrants, entrepreneurs, social activists, and ordinary people persevering in the face of challenges transport her audiences to days long ago. Maureen's latest book, Jersey! Then . . . Again, will be available at the meeting. It's a collection of 36 short stories about NJ historic people and their events: suffragettes, boxers, gangs, hot air balloonists, con artists, politicians, inventors, women in the war effort, military heroes, hurricane survivors, and more! Her program will be part of the meeting of the Union Township Historical Society, which will begin at 2:00 pm at the Caldwell Parsonage, 909 Caldwell Avenue, Union Township, NJ. Non-members are cordially invited to attend. Refreshments will be served. Admission is free; donations are greatly appreciated. For more information, call Barbara at 908-687-0048 or visit www.uniontwphistoricalsociety.webs.com. 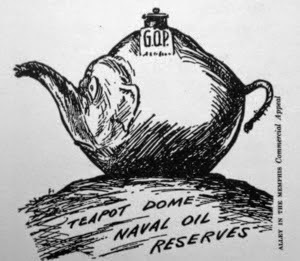 Second only to the Watergate crisis, the infamous 1920s oil scandal known as Teapot Dome rattled American politics for almost ten long years. Running through the tenure of three Presidents, Harding, Coolidge, and Hoover, the congressional investigations and courtroom dramas ended in 1929, just before the start of the Great Depression. Bypassing the normal and legal bidding process, government owned oil reserves were sold to private interests. Albert Fall, Secretary of the Interior, lined his pockets while the American public lost a fortune in uncollected royalties. Behind the scandal were two major oil magnates, Harry Sinclair and Edward Doheny. Based on his years of research of the Harding administration and his recent book, Anaerobe, Gary will discuss the Teapot Dome scandal and that very interesting period of American History. Gary Kraidman is a retired microbiologist turned historian, writer, and lecturer. This free program, presented by the Somerset County Historical Society, will be held at 2:00 pm at the Van Veghten House located at 9 Van Veghten Drive, Bridgewater, NJ. For more information, call 908-218-1281 or visit www.schsnj.com. Washington referred to the officers who were his aide-de-camps as his "military family." These men were volunteers who, unlike enlisted men, personally paid for their food and equipment during military service. Learn more about the business of the Continental Army's headquarters and the men who worked most closely with George Washington through examination of objects they would have used. Program runs continuously from 11:00 am - 12:00 noon and 1:30 - 4:00 pm at the Wick House in Jockey Hollow, within Morristown National Historical Park, Morristown, NJ. Cost: Free. For more information, call 973-543-4030 or visit www.nps.gov/morr. 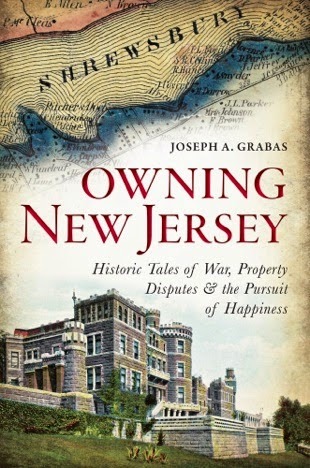 On Sunday at 2:00 pm, author Joseph Grabas will present "Owning New Jersey: Historic Tales of War, Property Disputes & the Pursuit of Happiness" at the Morristown & Morris Township Library. New Jersey's land records and deeds are unlikely sources for a thrilling tale but reveal some little-known and fascinating history. A detailed story of the founding of the Garden State 350 years ago is preserved in these papers, as is the area that included Morris County. The state's boundaries were drawn in such documents centuries ago, even if the authors never stepped foot in North America. The archives hide heroes, like the freed African Americans who fought for their right to own their piece of the state. Of course, there are the bizarre and mysterious tales, like the silk baron's castle and the assault against a sixteen-year-old maiden during the throes of the American Revolution. Join land title expert Joseph Grabas as he combs through these all-but-forgotten stories of the pursuit of happiness and property in early New Jersey with special emphasis on land conveyances in Morris County. Refreshments will be served. Admission is free. This program is supported by the Friends of the Morristown & Morris Township Library and will be held at the library at 1 Miller Road, Morristown, NJ. For more information, call 973-538-6161 or visit www.jfpl.org. On Sunday, celebrate New Jersey's 350th birthday with music and stories presented by Gordon Thomas Ward! Audiences adore this evocative presentation of original songs and their inspiring stories celebrating the rich histories, life events, and secreted tales of our shared past from the Lenape indians to the railroads of Robert Frost. Many of the songs Gordon performs are from his CD "Welcome to the Past." Presented in brilliant detail, Mr. Ward uses a "behind the music" format combining enchanting anecdotes, vocals, and a multi-instrumental accompaniment to transport listeners on a captivating journey through time. The concert will be held from 2:00 - 3:30 pm at Assumption College for Sisters, 350 Bernardsville Road, Mendham, NJ. Admission is free but a good-will offering will be collected to fund scholarships for sisters from developing nations. For more information, e-mail acs@acs350.org or call 973-543-6528 ext. 230. On Sunday, the museum will present a program that will focus on the beliefs of the Lenape, who inhabited New Jersey at the time the first European settlers arrived. The presenters will explain the significance of medicine pouches and the special items put inside by the wearer. Children will make their own pouches, decorate them with beads and a symbol from one of the Lenape clans, and choose an item to put inside. On Sunday from 1:00 - 3:30 pm, join the Greater Pinelands Dulcimer Society for an afternoon of music at the Bishop Farmstead in Southampton, NJ. The Greater Pinelands Dulcimer Society members desire to preserve folk instruments, among which the Appalachian mountain and hammered dulcimers stand out. The extended dulcimer family also includes other well-known instruments, like autoharp, banjo, bozouki, bass fiddle, folk harp, mandolin, and penny whistle. Stop by and you'll hear a variety of playing styles, from old-time mountain music to Irish jigs and airs. All are welcome! Come to play, sing, dance or listen, but come mostly to have fun! The Pinelands Visitor Center will also be open, offering more than 150 books about the Pine Barrens, South Jersey, ecology and history, including the brand new book Batsto Village: Jewel of the Pines by Barbara Solem. This is also a great chance to see the photography exhibit, Centralia and Beyond: Yesterday in the Pines by Michael Neuhaus. The Pinelands Visitor Center is located at 17 Pemberton Road, Southampton, NJ. For more information, call 609-859-8860 or visit www.pinelandsalliance.org.